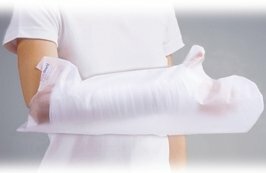 Reusable protectors keep casts and bandages dry during gentle bathing and showering. Available in Child and Adult sizes in two models - Short Arm & Full Arm. The arm models have a thumb piece.